What do you do when it’s -15 (F) outside and icy? You knit, of course! I made some real progress on Tang so far on my little Christmas vacation. I've gotten the body done and now need to begin the sleeves. I have to say that I was quite intimidated by this little sweater when I started, but you know what? It's fun! It really is. I was a little afraid the arm holes were going to be a little too big for me, but when I tried it on, they didn't seem to be. I guess we'll have to see after the sleeves are knit. This really is the part I am looking forward to–the sleeves. The body was a little more exciting than I thought it would be, though. The whole time I was knitting this sweater, I thought to myself, "Self, you could do all sorts of things with this…cable knit sweaters, laces, shells…." But I guess that was the purpose that Wendy had intended. Well, Christmas is upon us, so BFF and I are going to visit the city for a little Christmas spirit. Hot Toddies, HUGE tree in Daley Plaza, the Walnut Room, and more all await us. Stay warm and safe while traveling! Looks great so far! I’ve been doing a lot of knitting too on vacation. Hi Amanda! The sweater looks great! I hope that you had a very Merry Christmas (it’s 11pm on 12/25 right now) and that the new year grants you all of your wishes! 🙂 Happy Holidays! That shade of purple is fantastic…love it! 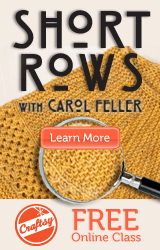 Thanks for sharing your knitting – I really enjoy reading your blog. All the best to you for 2009. Happy New Year!